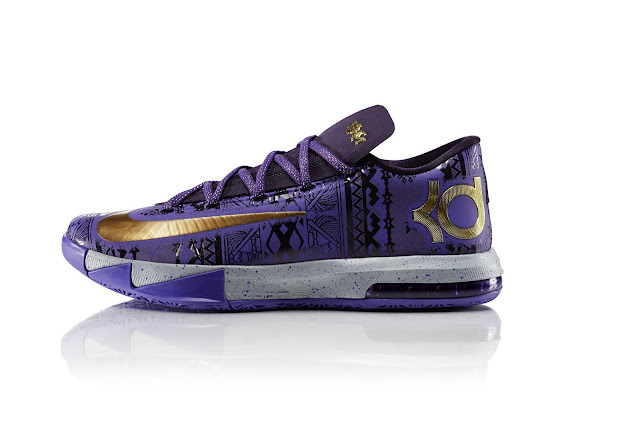 Celebrating year 4 of the official Nike Black History Month collaboration for 2014 is this amazing release of 23 total products ranging from footwear, apparel and equipment featuring purple, burgundy, gold, black, grey and the new BHM print graphic. Make sure to pick up some of this great stuff officially on 2/1/14 at select Nike retailers and Nike.com with One hundred percent of net proceeds (up to $1 million) generated by the 2014 BHM Collection during the month of February will go to the new NIKE Ever Higher Fund, a donor advised fund administered by Charities Aid Foundation of America (CAF America), a national 501(c)3 public charity. Continue below for some of the stand out footwear releases from the collection as well.